When something we don’t like happens, an anger rises in us. We blame someone for an error of omission or commission, for our unpleasantness or pain. When we blurt out our anger, there is tension and conflict. 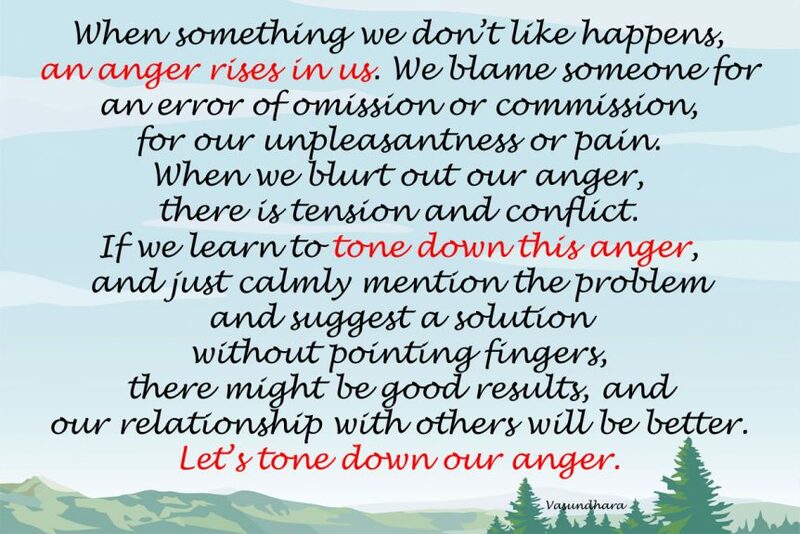 If we learn to tone down this anger, and just calmly mention the problem and suggest a solution without pointing fingers, there might be good results, and our relationship with others will be better. Let’s tone down our anger.